If you use a computer, then you must be aware of the particularly hair raising experience of deleting files from the computer inadvertently. Most of us have faced it at one time or another. It takes only a careless moment and you can ruin you work and data. We have been guilty of the same mistake a number of times. Once you do it, then you have two solutions. Either you can call the data recovery experts who will charge fees or try some free software tricks yourself. When you delete a file, it is not deleted totally from the system. The computer changes the file and makes it invisible and marks the space as empty. The file is deleted only when the space is reused by the system and fresh data is written over the old one. Even then some part of the file may survive which can be recovered by the experts. This data is of great interest to the security and forensic experts. 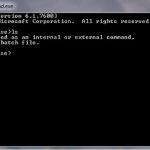 This is a basic program for file recovery and is one of the slowest listed here as well, though this has a very useful feature of find out the full name of the deleted files. This enables searching and finding the right files a lot easier. It can be found here. This is a very nifty program that will enable you to recover deleted files and you can also save data from damaged partitions and other storage devices like pen drives, memory cards and cd’s. The tool outs the recovered files in folders but you have to drill down to find the actual file. Once the file is found, it can be saved by clicking on the save files option. The tool can be found here. This tool has fewer features than the one above but it does the job. This tool has a handy feature that enables you to preview the recovered file before saving. This helps as sometimes the names of the files are changed by the system. The tool can be found here. 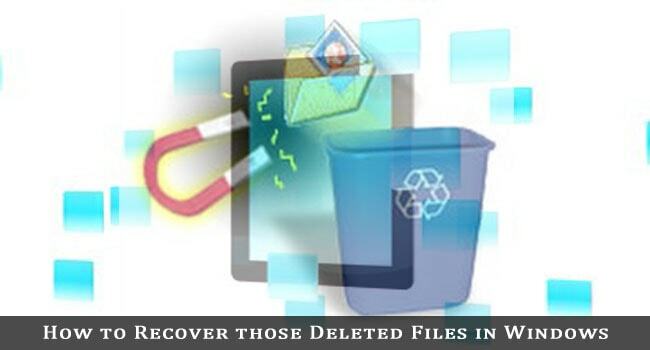 The above tools will enable you to recover lost files but you also need to be careful and keep in mind that once a file is deleted, the computer should not overwrite in the space that becomes available. As soon as you realize that a file has been deleted, stop the computer. Close all programs as they can overwrite on the free space. Do not switch off or restart the system. If you do not have a file recovery tool installed, then use another computer to download it and install in a different partition. Always remember that more you use a computer after deleting a file, lesser are the chances of recovery. If you want that no one should be able to recover data from your machine, then use a tool that cleans the empty space on the computer before you switch it off. Thanks for providing information about the product. However, you can employ Remo Recover toolkit to restore deleted files from Windows PC. It’s really useful article to recover a deleted file from HDD or computer’s memory. I use Recuva. It’s still recommended for all bloggers like me. Indeed a very important and insightful post. I once remembered losing a 5,000 long article due to some auto-save issue of MS-Word. Things like this takes the life out of you, for the moment.